So last weekend I tried out the secret dining craze that’s popping up over Sydney. If you don’t know what I mean when I say secret dining, then here’s the deal… You buy a ticket for an event, you usually know the theme i.e. Italian, but you don’t know where it will be as its a secret location. On the day you get sent a text message 3hrs before dinner time telling you where to go. Then you meet a group of like minded foodies for a special one off dining experience. There are a few groups that have popped up in Sydney who are putting on these secret dining experiences, I went along to one of the events put on by Secret Foodies. It was a Day of the Dead party, held at a warehouse location in St Peters. 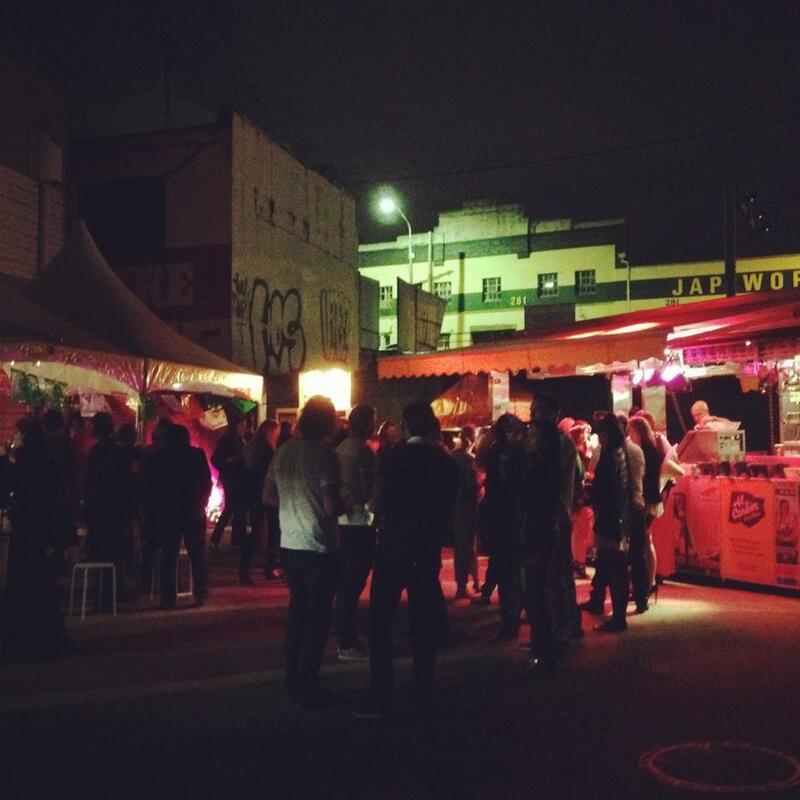 They had a live Mariachi band, face painting (zombie face painting of course) Mexican drinks, and food catered by one of the newest Sydney food trucks, Al Carbon. To top off the night Al Carbon served up one of the most interesting, bizarre and tasty desserts. Their take on a Mexican specialty. It had raspberry coulis on the bottom, followed by pineapple shaved ice, topped with agave syrup, condensed milk, and chilli salt. An interesting mix of flavours that just worked so well. If you get a chance I highly recommend going to one of these secret dining experiences, its a little out of the box and a bit spesh, so naturally I love it.